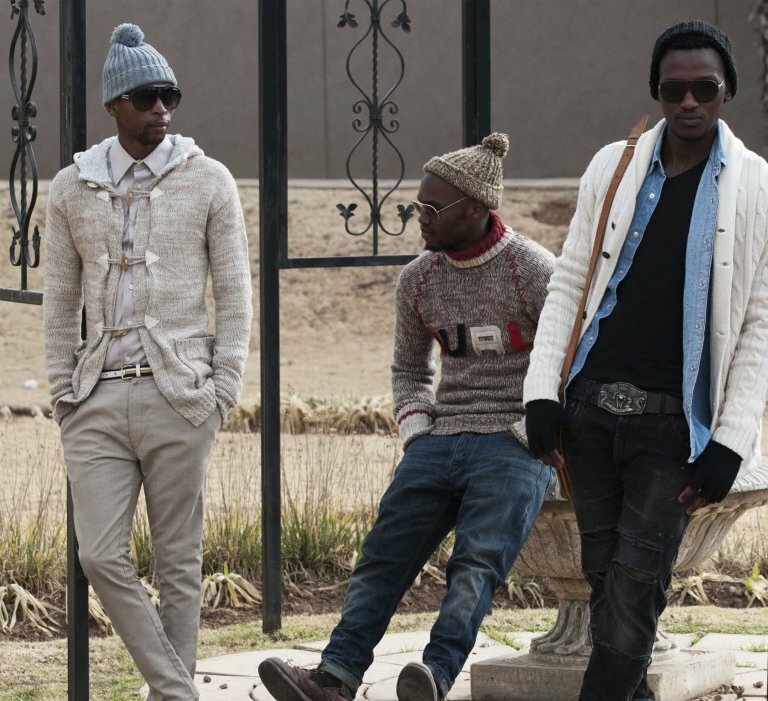 To promote its 2015 Autumn Winter collection, Ben Sherman released a fashion film shot in Johannesburg in collaboration with a team of African talents. These include South African American director Meja Shoba, the Congolese musician Pierre Kwenders, and the Johannesburg-based collective Boys of Soweto (BOS), featuring as protagonists and stylists. The two-minute film takes place on a sports field, where three men gather for a bowling match. They arrive by car and dress up in front of the camera. The sequence follows the Boys as each of them picks up a shirt from inside the car and buttons it up. A series of close ups shows the details of the apparel – prints, cuffs, collars – which come, primarily, in white and red hues. The movement of the bodies foregrounds the good and crisp quality of the fabric, which does not crease or relax when it is worn. As the Boys get ready, two fellow gamers pass by dressed in anonymous suits. There is an exchange of glances in slow motion, half playful, half confrontational. The opponents acknowledge with hostile looks that the BOS are an attraction and their outfits a true spectacle. Still in slow motion, we next see the protagonists access the game field. More close ups provide detailed inspection of their clothes, which feature polo shirts in red, black, and white print and tight jackets, as well as stylish accessories like Ray Ban sunglasses, Adidas and Lumberjack shoes, and leather duffel bags. On the field, the other players appear as a uniform block of individuals dressed in light colors ranging from khakhi to grey and white. The presence of the colorful Boys make them self-conscious: they instinctively button up their shirts. (Read and watch here to learn more about Ben Sherman’s ‘botton up’ signature style). The game begins with further inspection of the apparel worn by the 17 members of the cast. At last, the fourth and last member of BOS shows up, evidently late and, to everybody’s surprise, sporting the same shirt of one of his friends. Embarrassment, disappointment, and mockery ensue. The film then fades to a production card showing Ben Sherman’s logo and the words “the original – button up – since 1963 #buttonup bensherman.com” against a white background. The emphasis is not on plot and narrative, but on impression and sensorial engagement: color is the hook to keep the eye focused on the collection. It is also, however, a vehicle to emphasize the appeal of embodied Ben Sherman apparel. The protagonists may not be international stars, but the film clearly puts them in the spotlight for the way they bring life and appeal to the clothes. 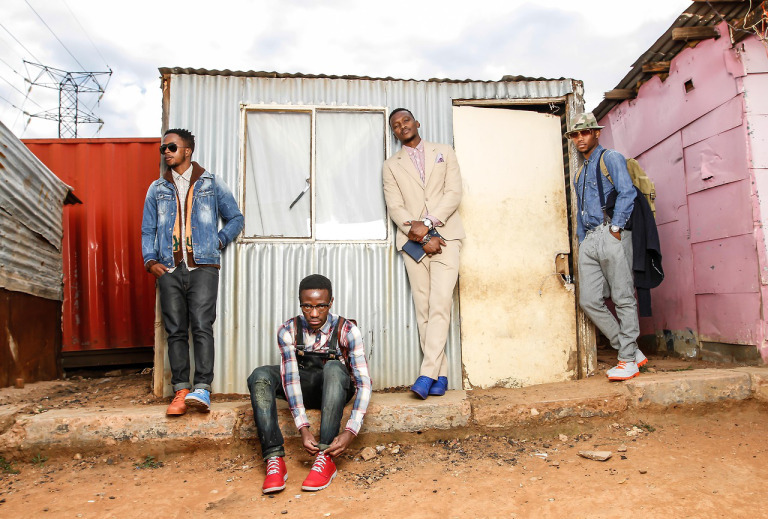 The South African collective, consisting of Bob Ndima, Bonisiswe Nhleko, Morgan Kgobane, and Mbali Bangwayo, formed in 2011 and operates in the fields of fashion and film production. Its goal is to use the language of vogue and style to convey stories from a urban, vintage and a futuristic perspective. 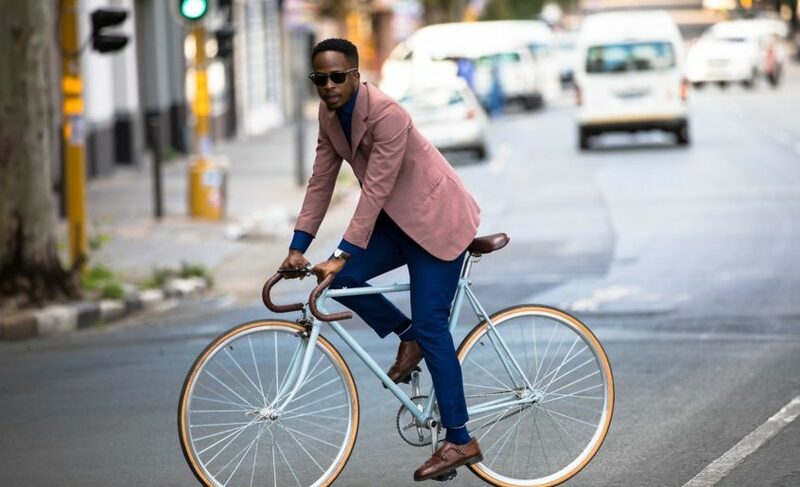 Bobo Ndima, founder of the movement and self-taught tailor and stylist (recently he has started a line of tailor-made BOS suits), explains BOS politics as a desire to broadcast to the world the self-worth that inhabitants of Soweto attach to dressing. The social and gender geography of the township and the distorted perception that the world has of it inspire his practice, as does his family history of class segregation. “Soweto is not what the mainstream media makes it out to be, a lot of negativity has been perpetuated about Sowetans especially the boys. […]My dad worked as a janitor but going through his photo album you wouldn’t see that, he wore fitted suits all the time. He has always been my style icon.” Accordingly, the collective focuses on showcasing dress in context, particularly in ways that antagonize negative stereotypes of South African townships as spaces of hopelessness and social disenfranchisement. In the tradition of other fashion clips featuring BOS, most self-produced, a mutual relationship links BOS and commercial apparel as each relies on the appeal of the other to emerge and stay in the spotlight. Neither the crew, nor the clothes, would be able to mobilize attention and generate sustained social/monetary value on their own. Ben Sherman’s fashion film envisions the protagonists as icons of style using the narrative trope of first impressions. The staged confrontation with the other players helps to focus attention on the protagonists, while the slow-motion of the scenes and the close-ups identify the group not so much with Ben Sherman’s actual A/W collection, as with the timeless philosophy of mod fashion promoted by the brand. This is an interesting aspect to consider, seeing how mod culture is a symbol of Britishness and British national pride. Featuring a collective of stylists from Johannesburg to showcase this ideal rooted in a specific urban geography is an acknowledgment of the commercial value of African fashionability and its power to sell across and beyond national boundaries. The film is proof of the current status of global influencers of these (as other) African fashionables, especially males. 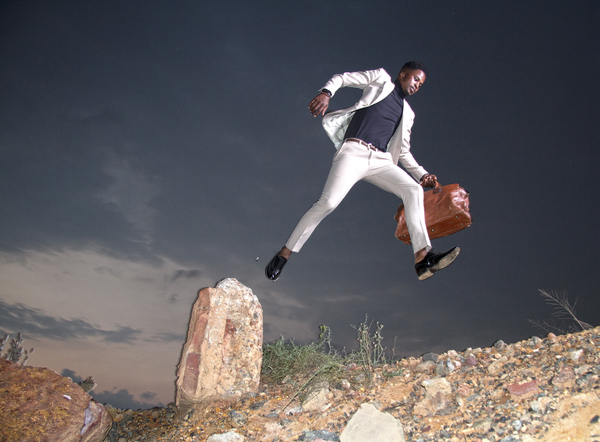 In 2014, Palladium Shoes commissioned BOS to represent Johannesburg on its international campaign “Explore your city”. Once again, the urban geography complements the social and commercial appeal generated by the stylists in that it references in an immediately visual manner a stratified history of limitations to which BOS opposes a philosophy of self-sufficiency, self-possession, and self-affirmation. Their physical presence in this environment articulates a certain kind of embodiment that uses dress to re-engineer social relations marred by violence, exploitation, and alienation. 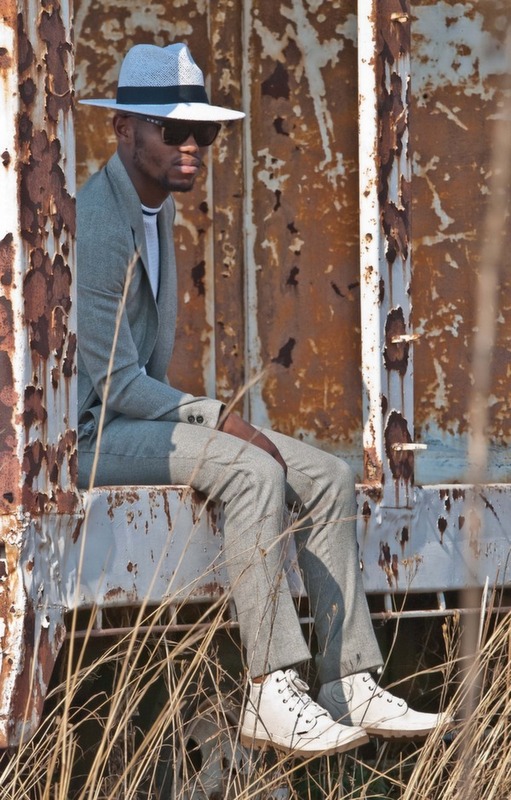 Like other Afrosartorialists, BOS use dress to profess a form of racial and class assertiveness that has its roots in geography and history, as well as in the transnational cultural citizenship conveyed by their preference for international fashion brands. The recent collaboration with Ben Sherman adds yet another level to BOS politics of dress that possibly limits its impact. The film promotes a commercial strategy of iconicity aimed at preserving the brand’s image of timeless cool. It incorporates the protagonists in an overdetermined representation of masculine normativity that has nothing to do with African urban concerns and more to do with the neocapitalist drive to monetize on collective forms of subjectivation based in lifestyle choices and the ‘coolness’ of the ornamented black body.